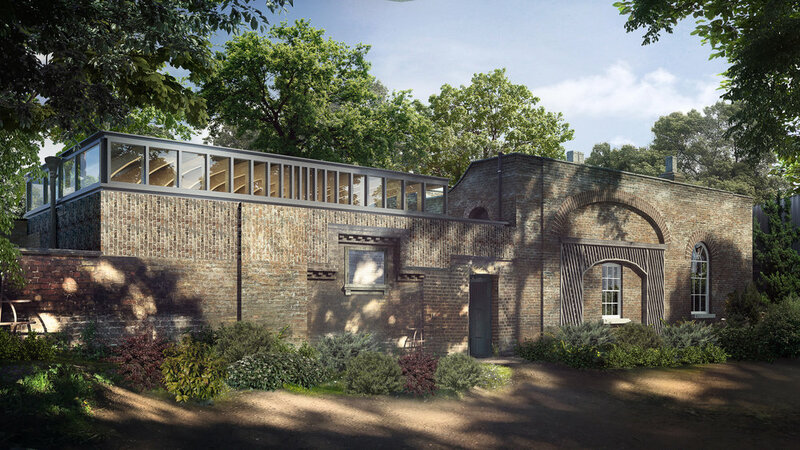 JTA was appointed by Pitzhanger Manor and Gallery Trust to provide architectural services, submit a planning application and listed building consent for the creation of a space for volunteers, within the existing Lodge Yard of Pitzhanger Manor. JTA’s conceptual basis for the design sought to answer the question, "What would Soane do today?” A number of aspects of Soane's work have been explored with the key ideas of: buildings within buildings, lanterns and the play of light, ceiling architecture and innovative technology being used to drive the project and its narrative. As part of a major restoration of the entire site, JTA were appointed to create new facilities for volunteers.